Laura Marie Altom continues with her unique writing style in Possess the conclusion to Control the first book of this series. She does a great job of keeping the reader intrigued and wondering if Ella and Liam will ever be able to get married and shut the door on Ella’s past. Ella and Liam are in love and get engaged except she is still married and in hiding from her abusive husband. Yikes now this makes a great storyline. I love how Liam’s love for Ella is so strong he wants to move mountains for her and sets into motion getting her divorce. Liam is willing to lose everything to keep Ella safe and his. This kind of love just warms your insides and Liam certainly is a man I could fall for. For me the best part of this book is Liam’s reaction to everything that is happening. The author puts you “on your toes” for most of this book with the ex husband coming back into the scene and finding Ella. What happens next is a series of events that will curl your toes. Though the story dragged a bit in the beginning it picked up speed with an outstanding HEA. This is a book about hope, overcoming domestic abuse, love, and finally an ending that is empowering for Ella as well as Liam. I recommend reading Control first so you can get the whole storyline. I was given this ARC for an honest opinion via Netgalley. 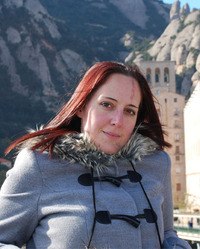 Laura Marie Altom is the author over 40 books in three different genres. She's been happily married to her college sweetheart (Go Hogs!) for 25 years and believes their boy/girl twins actively plot to drive her crazy! Now that her kiddos are in college, Laura spends her days contentedly writing and chasing after the family menagerie of pets, ranging from a mutt named Sweet Pea, a mini-long-haired dachshund named Cocoa, a Yorkie named Daisy, and Domino--a black-and-white stealth cat she rarely sees. There are also plenty of ducks and geese who live in the backyard pond but would like to live in the house! When night falls, Laura steals a few romantic moments for herself and her own hunky cover stud! Laura loves hearing from readers and may be reached via email at BaliPalm@aol.com or snail mail at P.O. Box 2074, Tulsa, OK 74101. Felicity Heaton has a cover reveal with a difference this time. She is revealing the covers for the next FOUR books in her Eternal Mates paranormal romance series at once. These novels will all be coming out between January 6th and March 10th next year, and every single of one of them are shape-shifter romances. Back to the reveal here are the covers for the next four books in the series and more about them. Iolanthe deals in finding artefacts for discerning clients, but this time her client is one of the deadliest men in Hell and her mission has the highest stakes imaginable. Failure is not an option when your life is on the line, but things take a dangerous turn when she crosses paths with a handsome and mysterious male on the hunt for the same artefact male who declares she is his eternal mate. Can Iolanthe resist Kyter's wicked allure and find the artefact before he does? Can Kyter face his demons and win the heart of his fated female? Or will this deadly game of cat and mouse claim both of their lives? Having turned his back on his snow leopard pride, Cavanaugh has been counting the days until he's free of a role he never wanted that separated him from his fated female and stands between him and the future he craves with her. Just days from the night he will finally be free to be with the low-ranking beauty who stole his heart, she walks back into his life and threatens to destroy everything he's worked towards in the five long years they've been apart. Cavanaugh to return to his pride, but as they journey to Bhutan, doubts bloom and old feelings resurface, tearing her between duty and her deepest desires and impossible dreams. 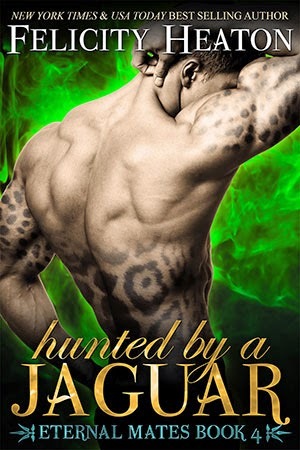 The sole remaining member of the most famous shifter hunter family in history, Owen Nightingale is a mercenary and a man with a secret held in his closely guarded heart, but when a beautiful a rare shifter catches his eye and offers him a job, he has the feeling he'll be the one paying for helping hero with his heart. Cait is in a spot of trouble with a capital T. A male hellcat has set his sights on claiming her and she's one kitty who doesn't want a collar, and who has spent her life avoiding relationship and is intent on remaining free. When she meets a dark, alluring and mysterious hunter, she sees a chance to rid herself of the male, but the price Owen sets and the fierce passion that burns white-hot between them lures her dangerously under his seductive spell. Possessed by a need to save a beautiful Amazon warrior from the vision he witnessed, Loke snatched her from the midst of the battle between the Third and Fifth realm of the demons, and carried her to his home deep in the black mountains of Hell to protect her. But as the fierce little female awakens, he finds she's anything but grateful, and his dragon instincts roar to life to warn she might be more to him than an enemy she might be his fated female. Anais remembers meeting a handsome warrior in the heat of battle, a man who was her enemy but who looked at her with eyes that held dark heat and wicked promises. When she wakes to find that same dragon shifter has taken her captive, desire is the last thing on her mind, but escaping him to return to Archangel, the hunter organization she works for, sounds less than appealing when he reveals the reason he took her to stop her from dying. Her Destiny is to rise above her fall. You cannot know what light is, if you have not experienced darkness. Ava and her people have been exiled to the planet Poseidon for reasons she can’t fanthom. Upon meeting a boy from a different sector, her life turns into beautiful chaos. She begins to feel things she isn’t allowed to, this motivating her to find out the truth about why her kind are so different, and why the Coundil are so interested in her. Once her mind is freed, with it comes a terrible power that could either save her kind, or destroy them all. But Eva is not the perfect heroine. She will become what she hates to save the ones she loves, and the cost of such a burden is deadly at best. 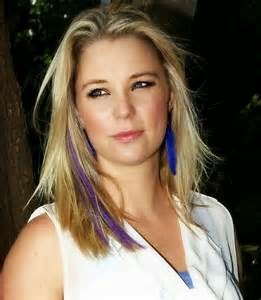 Carlyle Labuschagne is a South African award winning author working her way into the hearts of international readers with her first two books in the Broken Trilogy. 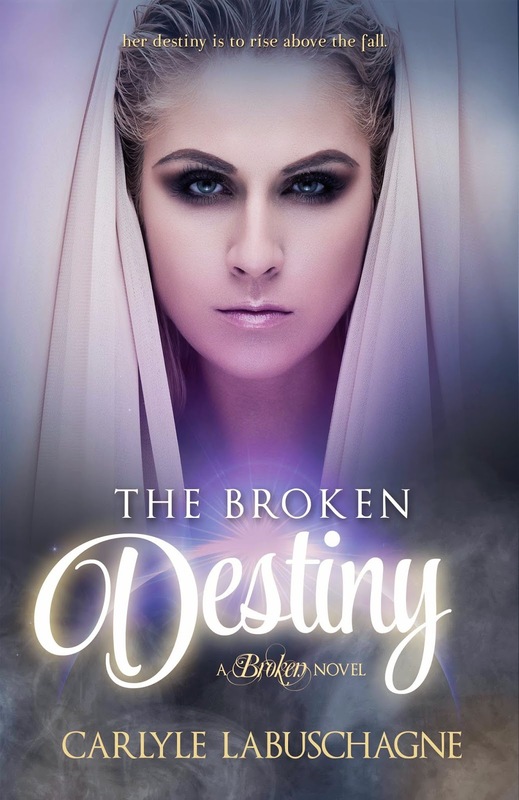 Her first YA Dystopian novel, 'The Broken Destiny' reached top 3 in its YA Debut Category. The Sequel 'Evanescent' won YATR literary award for best SCI-Fi Book of 2013 and was nominated for IRC best Indie Novel and Indie cover award 2014. "My goal as an author is to touch people's lives, and help others love their differences and one another. 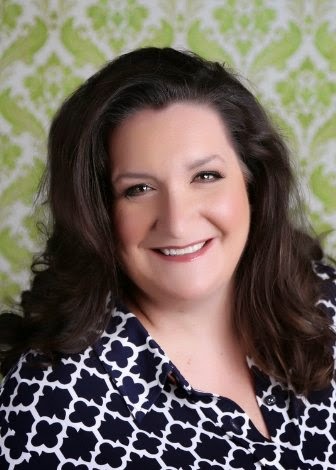 She is not only an author, but works as a marketing manager by day. She holds a diploma in creative writing through the writing school at College SA. “What’s so damn funny?” I asked her, almost panicking that someone would notice we had disregarded our curfew yet again. We slowed down as we rose to a low crouch, the tunnel opening up to a small entrance. Sam held out her hands, her fingers laced together. I gingerly slid a foot into them as she pushed me up toward the small tunnel entrance at the base of a huge, silverwood tree. We had accidentally found the entrance while playing hide and seek when we were kids. It had become our secret hideaway since then. We visited our hideaway almost every afternoon to get away from the severity that school held for me. I couldn’t help but wonder if I would still have been treated as an outsider, had my grandfather not been our founder. I thought they all held a grudge against me for our existence. Experiments―that’s all we were to the Council. As I pulled Sam through from the other side, a faint light from behind her caused a long shadow to hide her expression, but by the easy set of her shoulders, I could tell that she was still smiling. “What is it with you? I asked her, somewhat irritated. She stroked her chin. “I can hear Sonja right now,” she said. “You just do whatever you want, don’t you?” she mimicked, her finger waving in front of my face, her head bouncing from side to side. “She’ll be furious,” I said. “We’ll get detention for this, or worse. We’ll be imprisoned for the weekend.” I rolled my eyes. “Oh, no! I don’t want to have to stay indoors and stare at her pudgy face the whole weekend, when I could be staring into François’ hazel eyes instead,” Sam said with a smirk on her face, her eyes sparkling. “I knew it! You kept it from me, you cow!” I shouted, punching her on the arm full force, making her take a step back. “Let’s go,” Sam whined, rubbing her arm. “Stop procrastinating. I don’t want to go back any more than you do,” she added irritably, heading for the path between the overgrown bushes. Dystopia is a type of book that I rarely read but I have begun to read more and more as I discover new authors. Carlyle Labuschagne is a completely new author for me and though I wasn’t instantly interested in reading the book from the blurb, the cover and excerpt drew me in. I read the book in one sitting due to the unusual scenes that kept unfolding. There was a lot of what felt like side stories going on at one time and I kept saying but why did he or she do that. Eva and her BFF Sam, who I really didn’t quite like because of some of her selfishness were in a large part of the book. Later Maya was added and became close to Eva. I really connected with their friendship. Eva has two love interests Enoch and Troy. Enoch just seemed a bit off to me and I wondered why he acted so peculiar at times and then acted like he had a big crush on her in other times. The book does explain this and doesn’t leave you hanging on it. Troy comes across as a bad boy and one you should stay away from. I felt that their instant attraction could have been developed with more depth and a clearer understanding of why he acted as he did would have been more helpful. I did consider that most likely book two will develop Troy’s feelings for Eva and what the two of them were meet to do with the change in events. Secondary characters where well developed and were as interesting as the ones I mentioned above, in fact several could even have their own book. 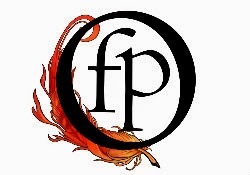 I was gifted an ARC in exchange for an honest opinion via Fire Quill Publishing.